Understand enrolment gaps and take data driven decisions to improve it. Education institutes are facing highly pressurising situation of deflating budgets and increasing cost of recruitment. Student recruitment strategies need to be devised pragmatically to ensure optimal investments in multiple recruitment approach and maintain ROI. Success of student outreach campaigns that includes online campaigns or a drive to student’s cohort should be measured to understand the trends and total yield to maintain proper funds and quality of education. With EzDataMunch’s education analytics dashboards, users can see the total number of applications sold year over year to track growth. Analyze the performance of different channels for application process. Get a deeper understanding of yield against total number of application sold and take informed decisions for increasing the enrolment. This dashboard represents Yield which is one of the most important measurement factors for any institutions in terms of student enrolment. 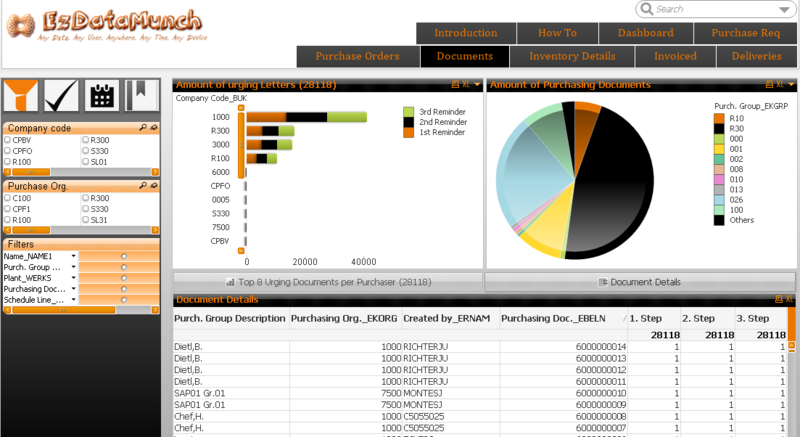 Analyze total yield in the offer segment against total application. 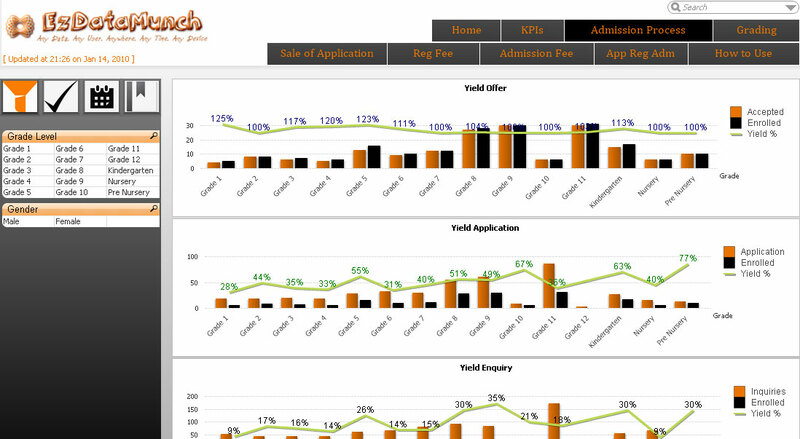 Drill deeper to compare yield against total number of enquiries received and total number of applications filed. Further filter the report based on state, district and school, also differentiate it with gender. This histogram dashboard represents the total number of student admissions that can be compared as per the year to get an understanding of growth or decline trends. Reports can be further filtered as per the specific month to see the student category whether local or international. Analyze increase or decrease in student’s enrollment as per country to understand admissions trend and major inflow. 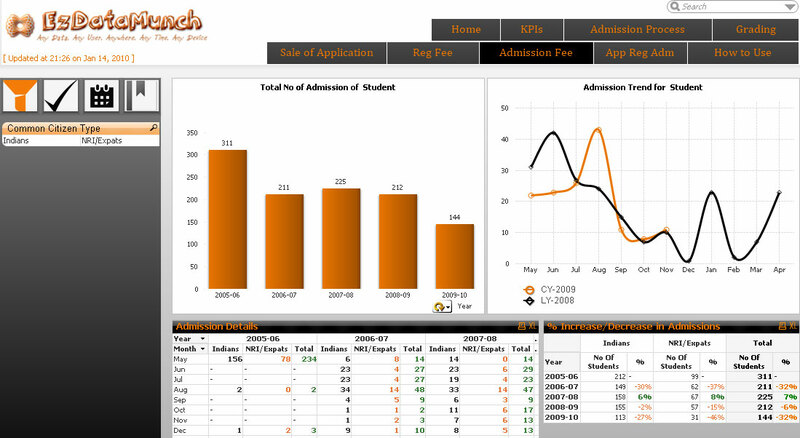 Analyze year over year admission details. 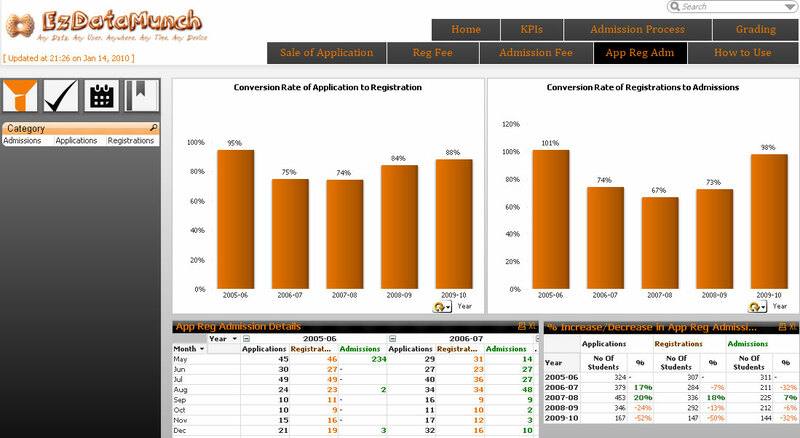 Get real time visibility of various transition levels such as registration to application and applications to admissions. Drill down further to know the most influential month and increase or decrease in admission’s trend. Histogram represents the total number of applications sold to students over time. Understand application distribution channels and analyze yearly growth patterns. Dive deeper into total application sales as per month and type of student (Local, international and gender).